Lease payments calculated based off of a 39 month lease with 10,000 miles per year, $5,200 is due at signing. 0% APR up to 72 months at $13.89 per $1,000 financed. $0 security deposit required, with approved credit. Extra charges may apply at lease termination. Plus, title, tax, lic. and state fees with approved credit through INFINITI Financial Services. See dealer for complete details. Expires 4/30/2019. Vin#K9233035. MSRP $70,545. One look is all it takes to fall for the 2019 INFINITI QX80. The sleek and stylish curves coincide with the elegance, luxury and sporty lines of a performance-engineered SUV. Tied together with machine finished 22-inch forged aluminum wheels, you’ll turn heads wherever you’re headed. The 2019 INFINITI QX80 beats with the heart of a champion. The 5.6-liter V8 generates 400 horsepower and 413 lb.-ft. of torque to ensure you’re always looking at the competition in your rear-view mirror. 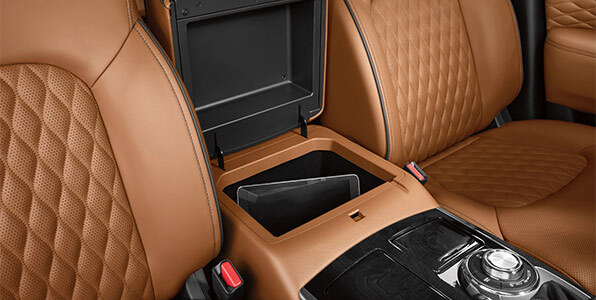 Plus, take your favorite toys when you journey, thanks to an impressive maximum 8,500 lb. towing capacity. The 2019 INFINITI QX80 exudes first-class style in every stitching. Nothing has been overlooked to help provide you with exceptional quality wherever you turn. Two-tone semi-aniline leather, open pore Ash wood trim and matte silver accents are among many features that orchestrate your heightened driving experience. INFINITI INTOUCH™ is your gateway to infotainment connectivity. Take advantage of cutting-edge conveniences like Amazon Alexa wherever you go. Even when not behind the wheel, you’re always in control of your 2019 INFINITI QX80. 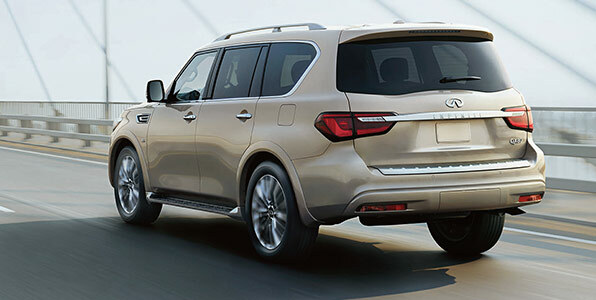 Safety is one of the most important parts of the 2019 INFINITI QX80. As a result, many cutting-edge safety features have been incorporated to ensure your ride is always as safe as possible. 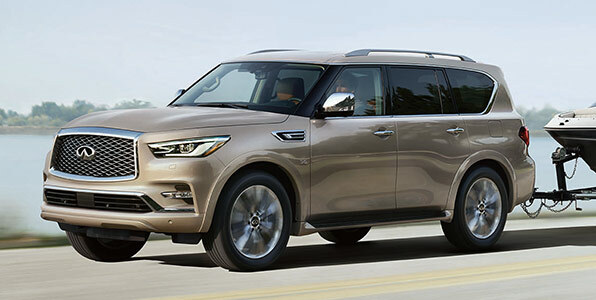 Lane departure prevention, forward emergency braking with pedestrian detection, predictive forward collision warning and blind spot intervention are just a few of the features to make your QX80 the safest vehicle you’ll ever drive. Once you’ve felt the power and prestige of driving the 2019 INFINITI QX80, nothing will compare. Visit Zeigler INFINITI of Orland Park and test-drive yours today. 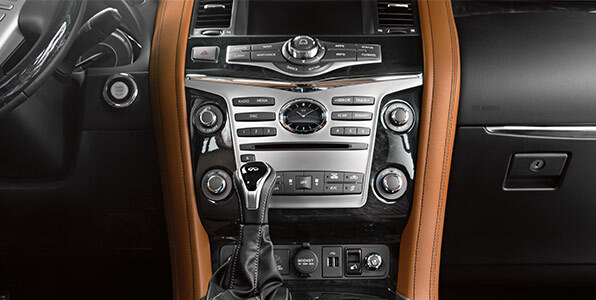 Stop by 8751 W 159th St., Orland Park, call us at (708) 304-0149 or click here to learn about Zeigler INFINITI, our impressive lineup of luxury vehicles and to receive the white-glove service you demand and deserve.